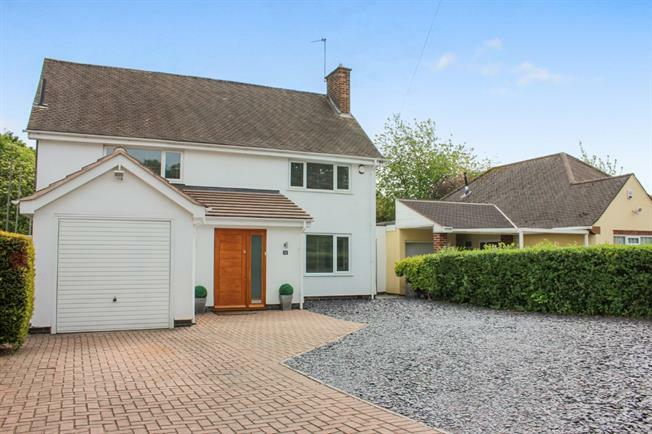 4 Bedroom Detached House For Sale in Leicester for Offers Over £475,000. Stunning four bedroom detached family home on the highly regarded Curzon Avenue in Birstall. Occupying a generous plot and having undergone complete refurbishment by the current owner. The property comprises of entrance hall, leading through to an impressive open plan living space with bi-folding doors over looking the rear garden, kitchen, downstairs WC, three bedrooms, master bedroom with shower room en-suite, family bathroom and large storage cupboard. The front of the property has off road parking for several cars and has scope for extension to rear subject to planning permission. Call Spencers in Birstall to arrange your viewing appointment today 0116 2672604! Stunning refitted kitchen comprising of a range of fitted wall and base units, under floor heating, tiled floor, one and a half bowl sink, breakfast bar, integrated dishwasher and washing machine. Bi-folding doors over looking the extensive rear garden, radiator, double glazed window to front, solid oak flooring. Double glazed window to rear, radiator, built in cupboards. Double glazed window to front, radiator, built in storage. Double glazed window, heated towel rail, tiled flooring, low level WC, shower over bath, wash hand basin. Double glazed window to side, shower cubicle, low level WC, wash hand basin.